Keyword Research: The mantra ‘keyword is king’ is frequently used in many campaigns. Using the right keywords for which you want to rank your website is the most difficult task. Hence, this keyword research plays a vital role in SEO. URL: The URL of the webpage can be one of the most important factors of on-page optimization. Changing URLs retrospectively can be problematic so it’s important to get this right from the start & use some of your keywords in the URL. 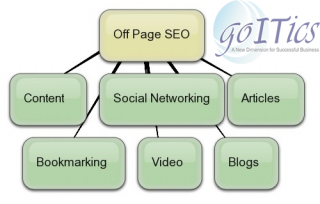 Meta Tags: Meta tags are used to instruct search engines on how a particular webpage should be indexed. Optimizing your title tag and the description meta tag can be useful in providing additional information to the search engines but using the keyword meta tag can do more harm than good. Hence, it is necessary to include title & meta tags on your webpage. Hence, it is very important that On Page Optimization is done correctly for a website as this educated search engine crawlers and spiders about the theme of the website and which keywords you are targeting to rank on. This is an article well explained. Hope to see more such informative articles. We will surely add more articles in future. Hope to hear from you frequently.